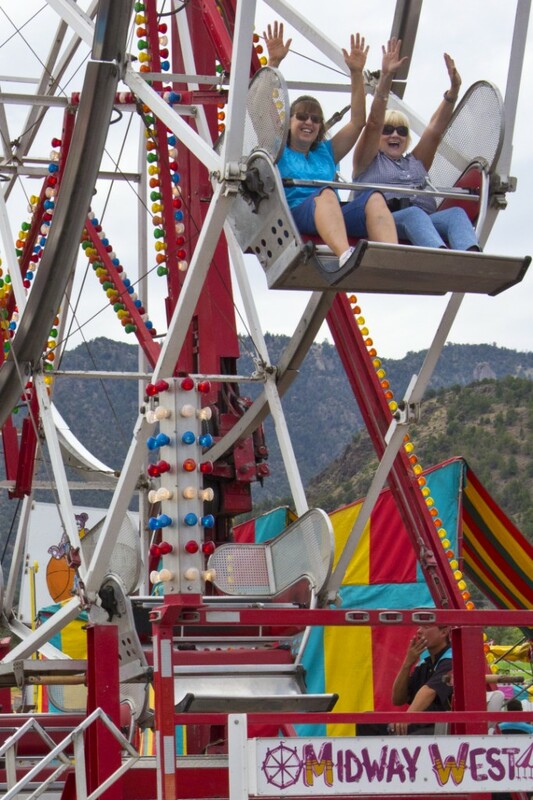 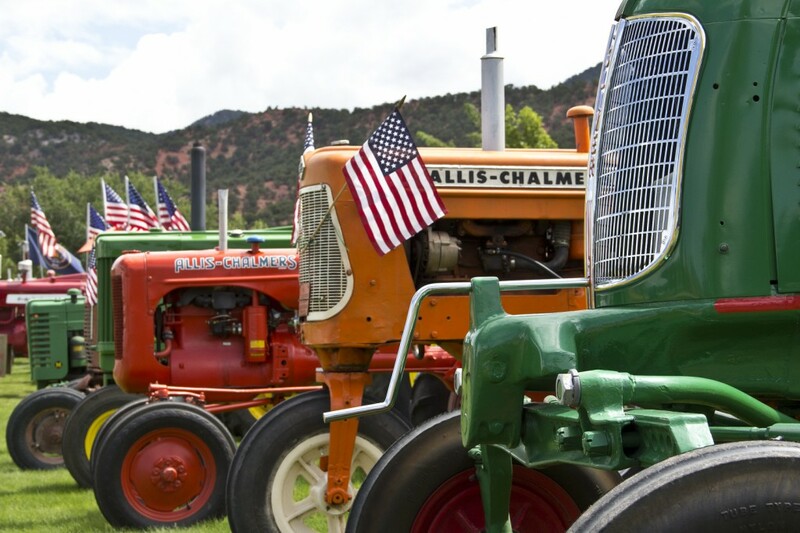 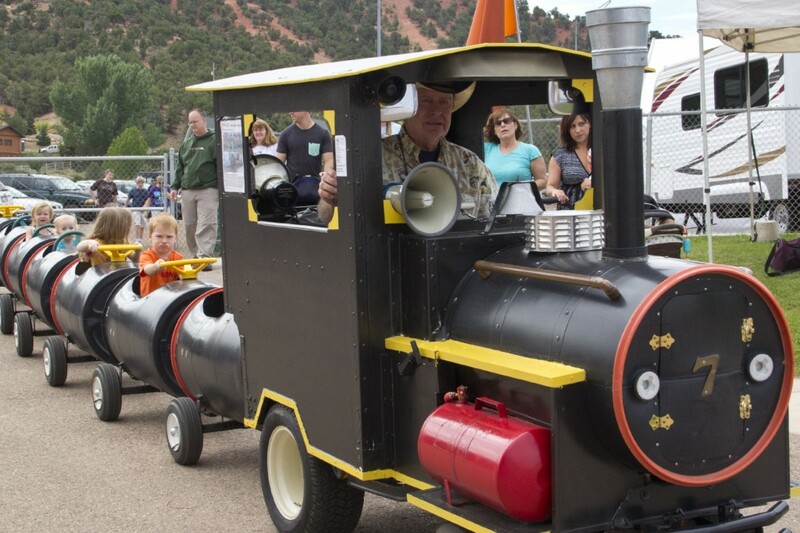 PAROWAN – The Iron County Fair kicked off Thursday and continues on through Monday, with full offering of events, rides, programs, competitions … and horses and cows and tractors. 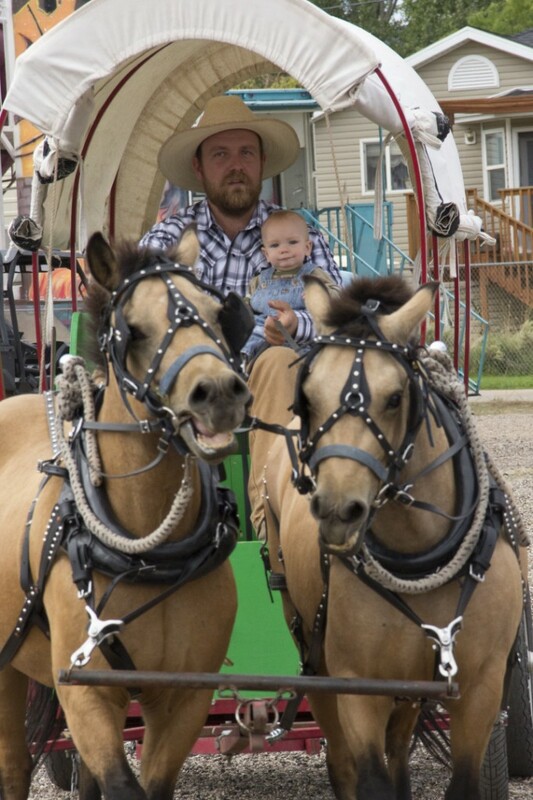 “Cowboy boots and Iron County Roots” is the theme and this year’s fair has thus far lived up to its name. 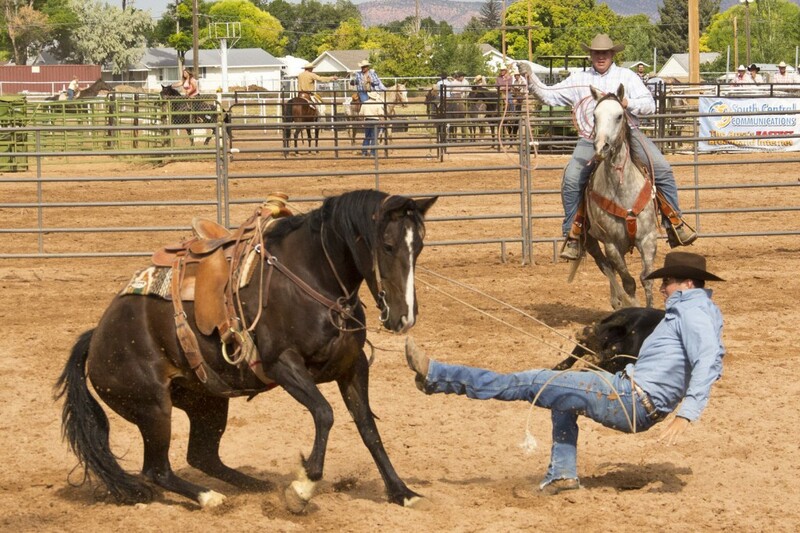 Among the rodeos the fair weekend brings was the Ranch Rodeo on Saturday. 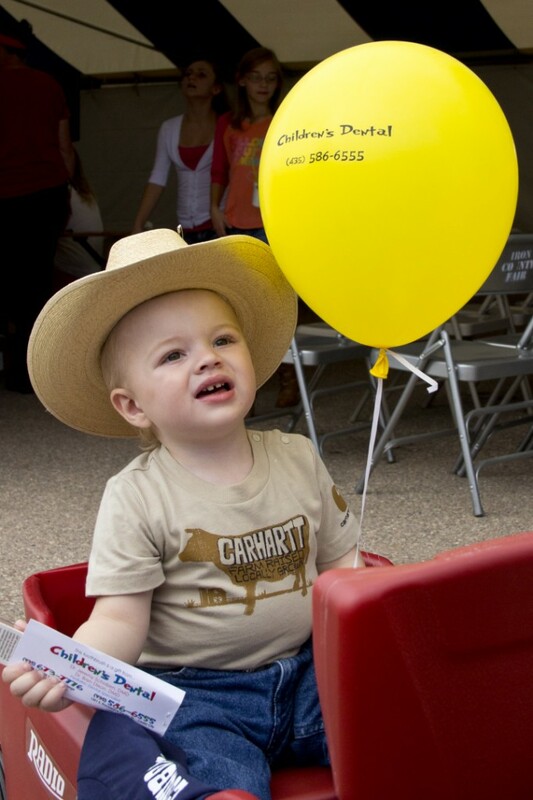 It is a competition based on everyday life of the modern cowboy, and that would include cowgirls as well. 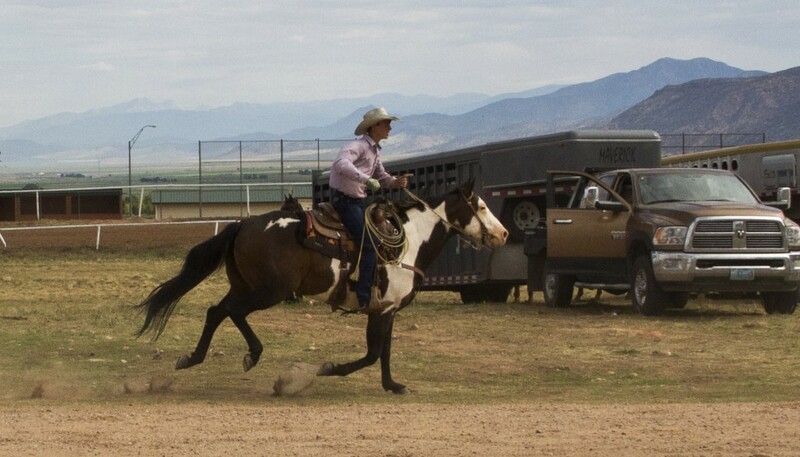 This year’s event saw first time competitors as well as veterans, heading, heeling and “branding” calves with a friendly branding iron tipped in white paint in the shortest time possible. 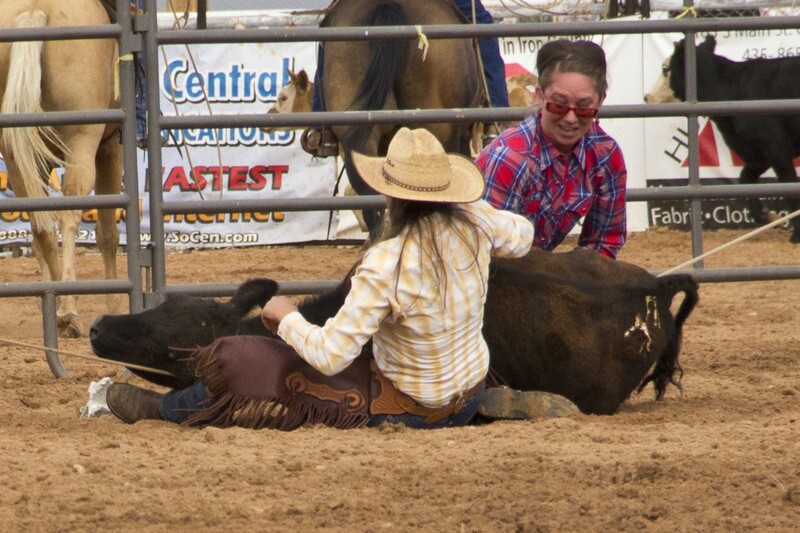 And it wasn’t just calves that got thrown to the ground Saturday. 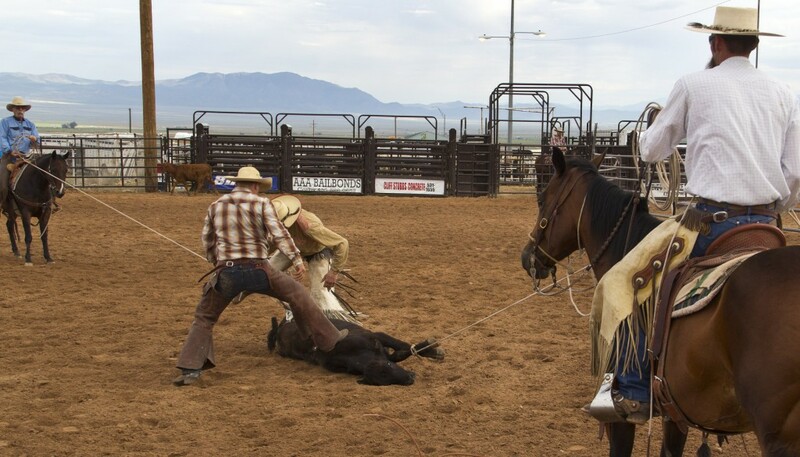 Cowboy Tyson Nelson sustained a right knee injury when a young colt threw him, flipped over and landed on him, Brian Head Public Information Officer Jared Burton said. 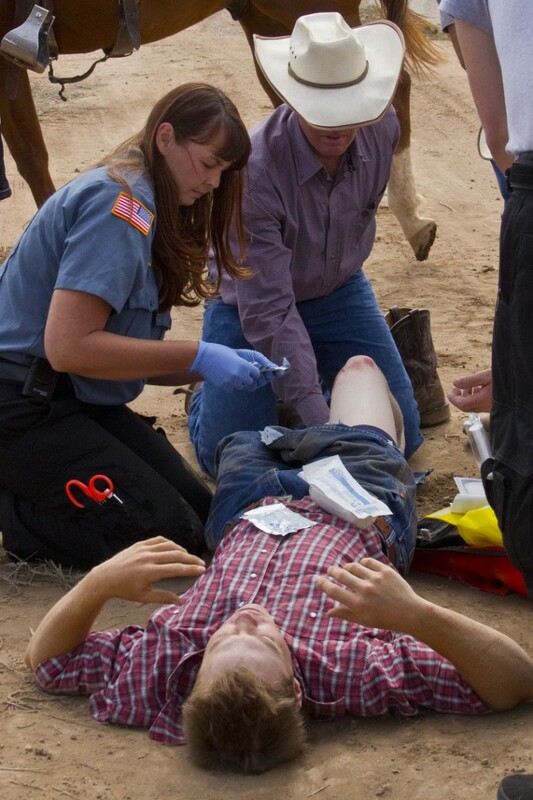 Emergency Medical Technicians were able to get Nelson bandaged up and put a splint on him so he could limp out of the arena with the help of family and friends. 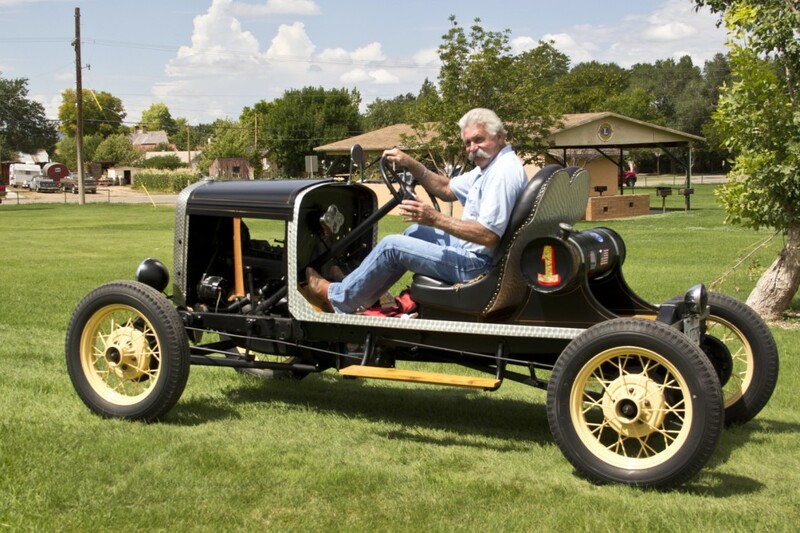 “It felt like (my knee) was bent backwards the wrong way,” Nelson said to the EMTs. 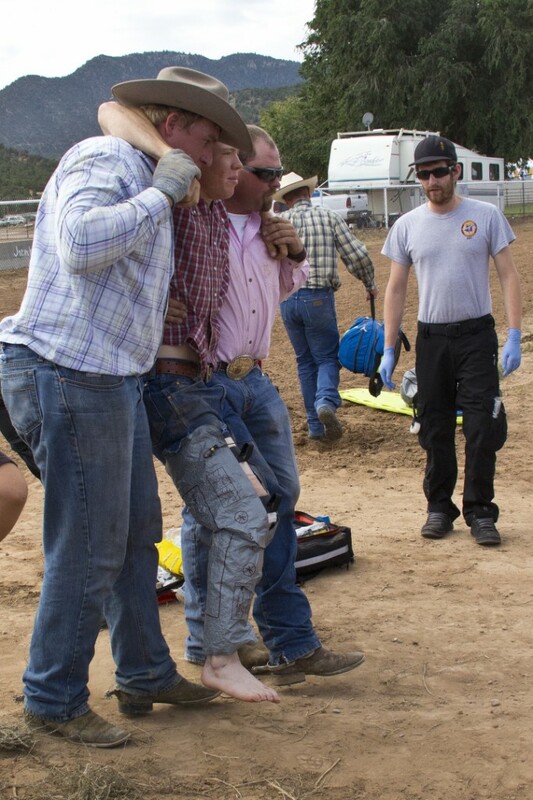 The accident occurred away from the Ranch Rodeo competition and there was only minimal delay in the event. 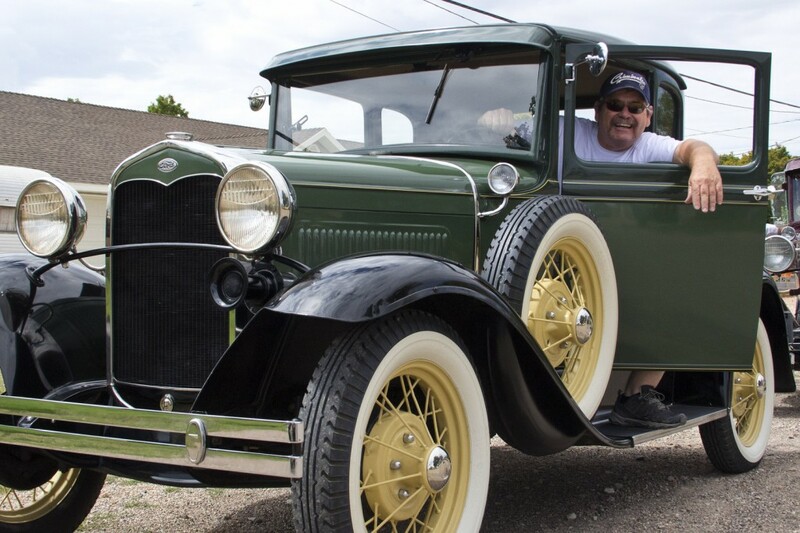 Nelson was transported to the hospital by his father, Burton said. 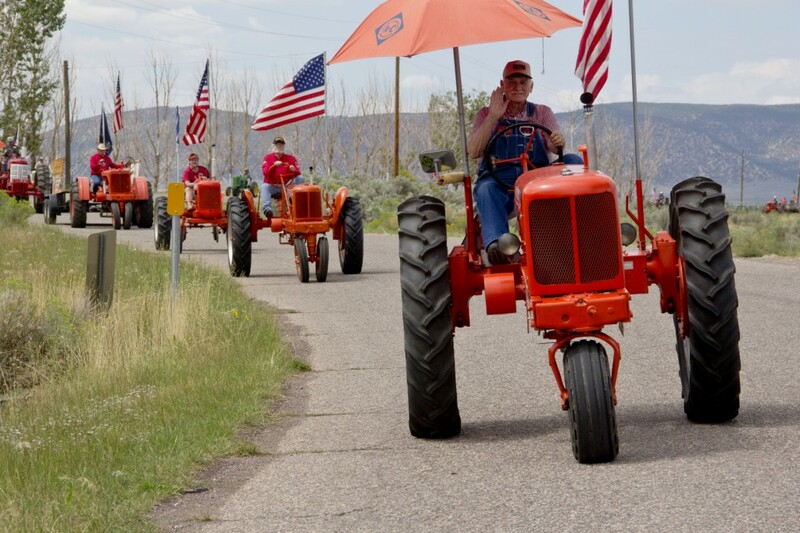 Tractors were in the plenty as were classic cars, Saturday, all boasting drivers bursting with pride and patriotic spirit. 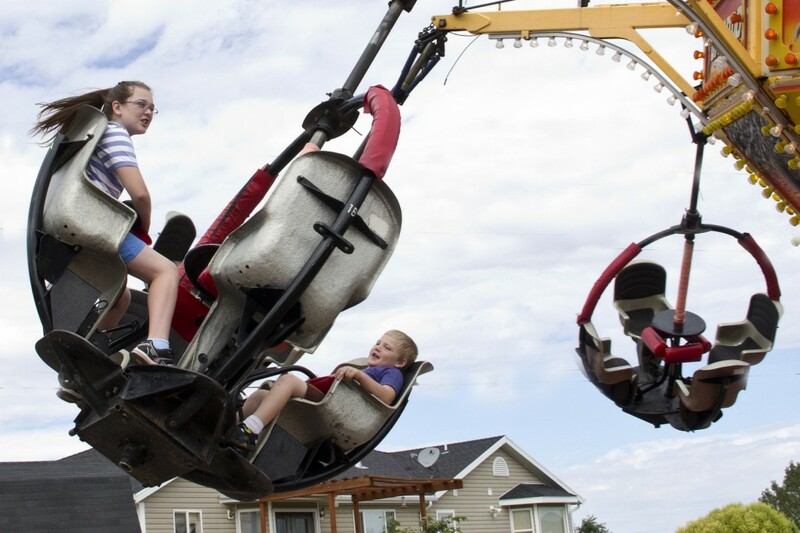 Photos with captions tell the story and are provided for our readers’ enjoyment and enticement – the Fair continues through tomorrow and the Sunday-Monday schedule of events follows below the gallery.